Mirage Art & Coffee, a neighborhood café, was born from Jasmin’s passion for creating visual art and her love for sharing a cup of coffee with interesting people from all over the world. What is special about our coffee house? 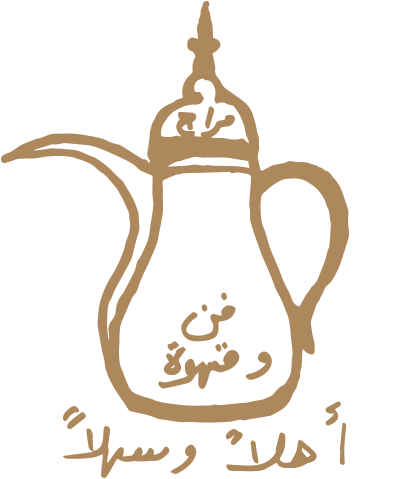 We have authentically prepared Saudi Arabian and Turkish Coffee. Jasmin, having lived in the Middle East much of her life, could practice how to make these coffees to perfection. With the Turkish coffee you will receive a free Coffee Ground Reading, your fortune telling. Jasmin is a Global Nomad at heart. Join her to journey into her Exotic Oasis to relax, renew your well-being and re-energize. Her mission is to provide an Inspiring Peaceful Venue in which you can DELIGHT all your senses and connect with people of Arabian, Asian and local cultures through their artistic expressions and unique coffees and food.